Sweden is to make so-called denial of service attacks illegal, threatening perpetrators with a maximum sentence of two years' imprisonment. Denial of service attacks are where a computer is programmed to disable websites by automatically clicking on the same page thousands of times. They will be outlawed in Sweden from 1 June. 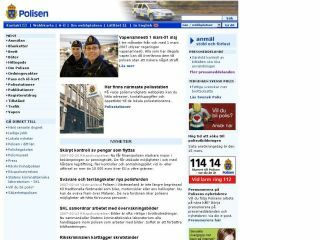 The move is likely to be a direct response to an attack that crashed the Swedish police 's website last year. Although no one has been charged, the attack happened just days after police raided Swedish file sharing network The Pirate Bay 's servers. The Swedish government 's website was also crashed after the raid on The Pirate Bay, leading many to believe that the incidents weren't entirely coincidental. The new law will make such attacks - whether done automatically or manually - a criminal offence, as will be conspiring to carry out an attack. The UK has already outlawed denial of service attacks, with penalties of up to 10 years in prison for those convicted. The UK Police and Justice Bill 2006 states that it is "an offence to impair the operation of any computer system". Other clauses prohibit "preventing or hindering access to a program or data held on a computer, or impairing the operation of any program or data held on a computer".